Thanks for visiting the Virginia butterflies section. The picture at the top of the page shows the Eastern Tiger Swallowtail, the official state butterfly of Virginia. While the state hosts a variety of butterfly species, twenty one of those species are considered rare and seen in only one or two counties. This introduction to Virginia butterflies divides the species according to families, which also mostly divides them according to wing color. Only a few butterfly pictures are presented because of space. Visitors interested in additional butterfly pictures and identification help are invited to press the green butterflies button. The forested areas of Virginia host many butterfly species, included Wood Nymphs and Satyrs. 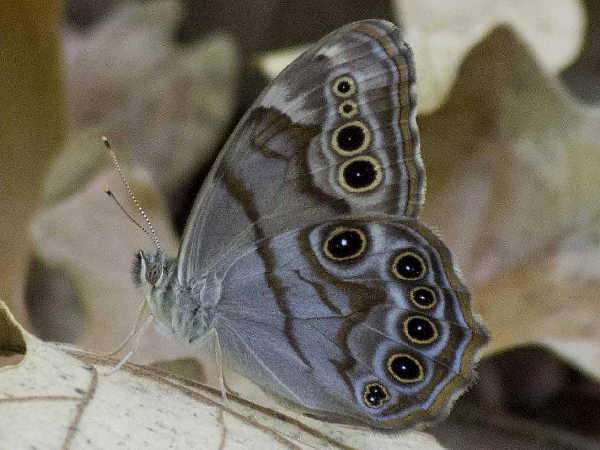 The picture shows a Northern Pearly-eye. Like the other species in the category, they are characterized by brown wings and eye-spots. Most of the species have a fairly wide distribution in the state. Virginia gardens and residential areas also host many of the typical Brush Footed species listed below. These would be the typical orange wing butterflies such as the fritillaries, crescents, commas and ladies. 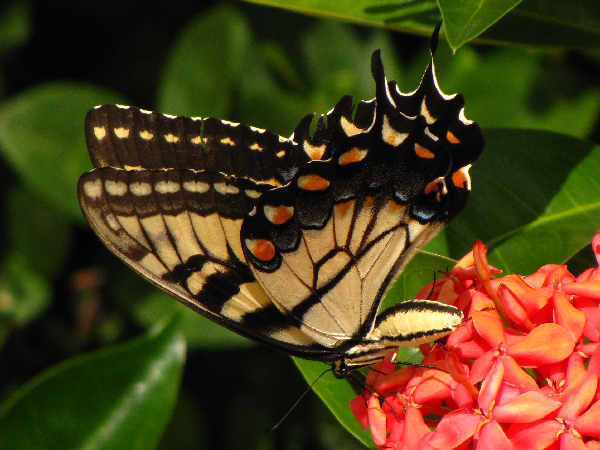 In the southern part of the state the Virginia Living Museum hosts a butterfly garden has a collection of about sixty flowers, vines, shrubs and trees that serve as hosts for the caterpillars. Butterflies can be seen there throughout the entire season. Creating a butterfly garden in the back yard is as easy as learning about the native plants that support the native breeding butterflies. The Zebra Swallowtail stands out among the Virginia swallowtail butterfly population. Unfortunately their range is limited to areas that grow pawpaw trees, the larval plant host. It also should be noted that Virginia hosts two metalmark species, the Little Metalmark and the Northern Metalmark. Pieridae is the formal name of the family that consists of the butterflies with white wings and yellow wings. 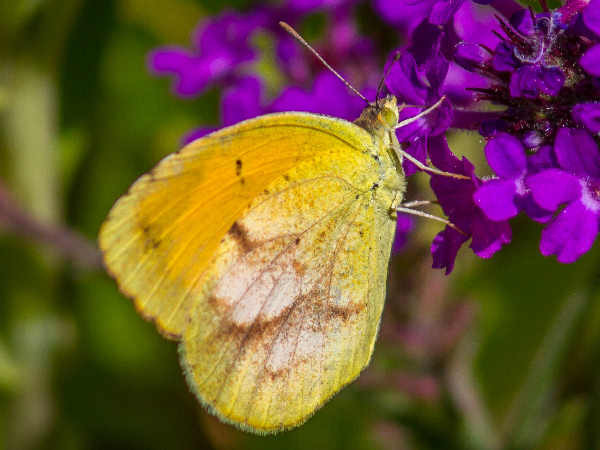 Virginia follows a pattern similar to other Southern states, hosting more yellow butterfly species. The picture shows a Sleepy Orange butterfly. The name refers to the fact that the top of the wing has a dash rather than a circular spot common on many yellow butterfly species. The dash kinda reminds people of a closed or sleepy eye. Here’s a list of the rest of the white butterflies and yellow butterflies documented in the state. 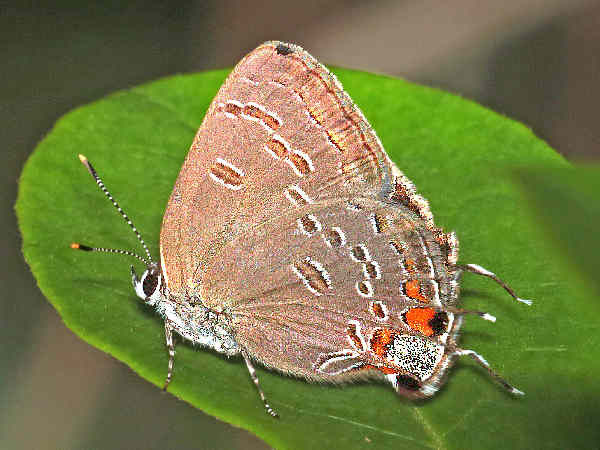 Virginia’s hairstreak population is the most diverse group of butterflies in the gossamer wing butterfly family. The picture shows a King’s Hairstreak.